We woke up to a very crispy morning today. 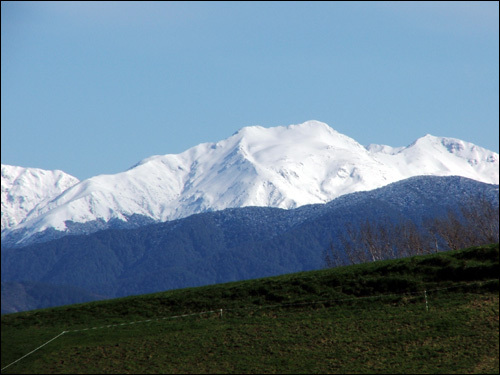 This is the Tararua Range to the West of us – just beautiful! Thanks to Louise for taking the great pic.